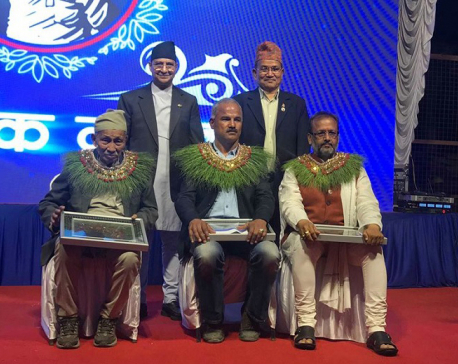 KATHMANDU, April 24: Nepal Republic Media (NRM) has honoured veteran culture expert, Satya Mohan Joshi and social workers Purna Bahadur Gautam and Pawan Singhaniya as the Nagarik Nayak, 2075 for their selfless and inspiring contribution to the society. KAVRE, April 24: Prime Minister KP Sharma Oli has said the government would produce globally competitive human resources. 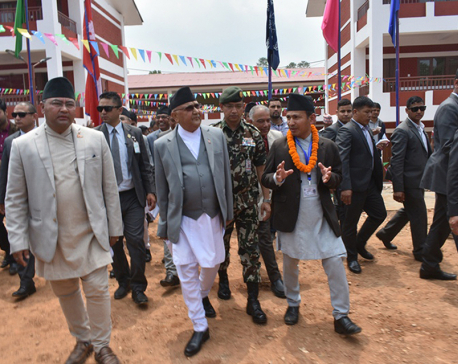 PM Oli said it at a programme organized to inaugurate the new building of a local Sanjivani Model Secondary School in the district on Wednesday. 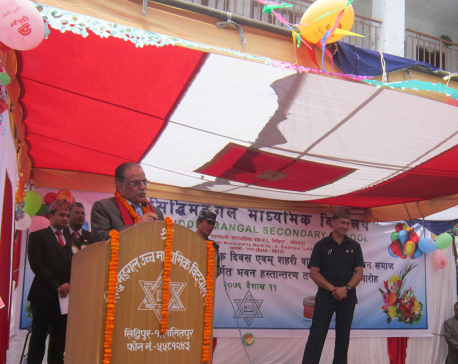 Kathmandu, April 24: Nepal Communist Party (NCP)’s chair and former Prime Minister Pushpa Kamal Dahal has said the signs of improvement have been noticed in the community schools in recent years. 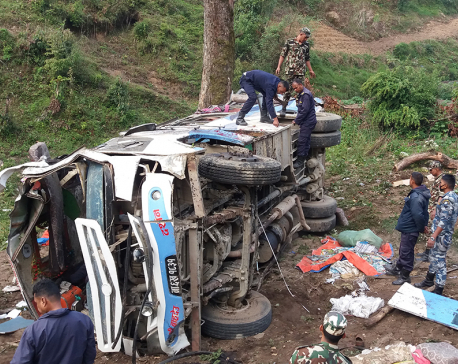 DOTI, April 24: Identities of five people killed in the Dadeldhura bus accident this morning have been ascertained. 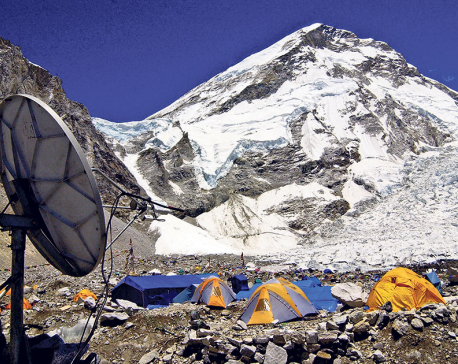 Solukhumbu, April 24: An Australian citizen died of high altitude sickness in Feruche of Khumbu Pasanglhamu rural municipality-4. He has been identified as Philip Margaz. BIRATNAGAR, April 24: A protest staged by locals demanding stern action against the perpetrator involved in the alleged murder of a woman in Pathari Sanischare of Morang a few days ago took a violent turn on Tuesday. 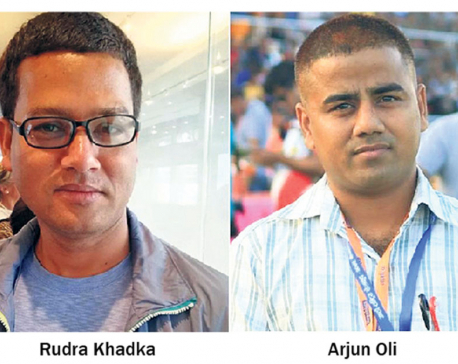 KATHMANDU, April 24: The Barbara Adams Investigative Journalism Award 2018 has been jointly awarded to journalists duo Rudra Khadka and Arjun Oli for their series of news reports on the irregularities in the Sikta Irrigation project based in Banke. The stories were published both in Nagarik and Republica dailies. KATHMANDU, April 24: The National Reconstruction Authority (NRA) claimed on Tuesday that 80 percent of the beneficiaries of the private housing reconstruction grants have either completed reconstruction or started rebuilding their houses. 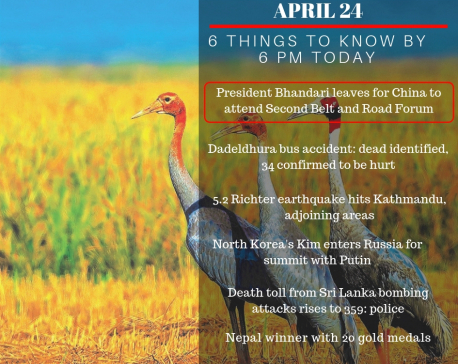 KATHMANDU, April 24: Nepal Republic Media (NRM) Pvt Ltd has vowed to become a voice against corruption by covering more investigative stories in the days to come.